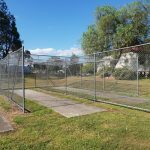 Help support the safety of our children in the Somerset region by giving a small donation in raising funds for the safety upgrade of the Kilcoy Public Cricket nets at the playing fields at Hope St Kilcoy (please click on the link to donate). It is a small price to pay for the safety of the community by providing a safe, active and fun environment for all ages, abilities, girls and boys. 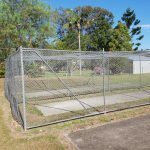 The project is being supported by Wamuran Stanley River Cricket Club who have numerous members from Kilcoy in their U14 Junior Sides, QLD Cricket as well as the Kilcoy District Progress Alliance community group. Our goal is to raise $5000 in donations to support this project. We are also working with the Somerset Council, State funding/grant bodies and QLD/Aust Cricket to raise the profile with the aim of securing funds for delivery of the $26000 project. Many thanks in advance for your kind donations and we appreciate your support in spreading the message by sharing this post. The Kilcoy Cricket community have the wonderful support of the Wamuran Stanley River Cricket Association. 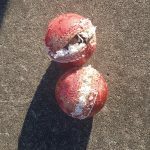 Grants have been sought, support letters are being produced to try and get the refurbishment of the nets completed in time for the 2019-2020 Cricket Season. Please forward to your friends and family as every little bit helps. Kilcoy has wonderful community support for all types of activity. Why not give a little to this campaign. Thank you.